At Sacred Heart we are fortunate to have a dedicated and experienced group of teachers and support staff, led by our Principal who also has daily teaching contact with our junior classes. Our small class sizes are a direct benefit to the students. This, along with mixed level groupings, allow for greater individual attention so our students thrive. We have a strong and well-functioning Board of Trustees who work closely with our Principal to ensure that the needs of our children are at the centre of every decision. Our children have a voice in everything we do, assisted by our Student Council. Representatives on the Student Council are voted in by their classmates every year, and are encouraged to suggest new ideas, ask questions and lead initiatives to improve the school. Sacred Heart has a strong tradition of valuing people. We are recognised for our high-quality learning within an engaging and caring environment. Our students are celebrated and nurtured, and our families feel welcome and connected. View our most recent ERO report. The school has a Dominican (OP) tradition. In 1895 the first classes were taught by the Sisters in the Parish Church. The first school building at 63 North Road was opened in 1904 and this served the area until 1986-87 when the school was re-built and the present school opened on the same site. The Dominican Community had a strong presence in the area until 1993. The Sacred Heart Parish community is currently in the care of the Rosminian Priests (IC) and is a part of the Northern Pastoral Area including Holy Name, Port Chalmers and Palmerston and Waikouaiti Parishes. The school offers bright, spacious learning facilities including a large attractive playground with modern equipment and a school hall (Nga Maara Hall) for indoor cultural and sporting activities and school assemblies. The classrooms are testament to the amazing work of our students and teachers, with wonderful displays of art work and learning creations. Our library is a fantastic asset for our students, a vibrant learning space. We have the facilities and resources to nurture the learning needs and interests of all students. Our hall is available for community use, and is widely used. Sacred Heart has a wonderful history of celebration of and engagement in Kapa Haka. We are always honoured to be invited to attend and perform at occasions around the city, and the students gain a great deal from this. Karakia and waiata are part of everyday school life, woven into the fabric of our learning, culture and faith. Sacred Heart students enjoy a range of sporting opportunities including Futsal, Netball, Swimming – lessons over a fortnight taught by JC Swim School, Cross Country, and Health and Physical Education in their classes. Many of our students also play Tennis, Cricket, Rugby and Athletics through our local groups and clubs. Games are played at various venues around Dunedin, with many enjoying the indoor aspect of the Edgar Centre. Prior to each season information on the options available is distributed and teams are arranged according to interest. 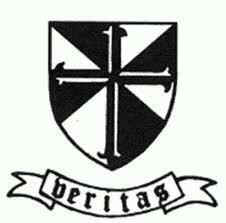 Sacred Heart School is a part of the local parish communities of Sacred Heart, North East Valley and Holy Name, Dunedin North. The Parish Priest and Chaplain of Sacred Heart Parish is Father Aidan Cunningham IC. The Parish Priest of Holy Name Parish is Father Mark Chamberlain. Throughout the year the community celebrates special feast days in the Church’s liturgical year. Masses of Welcome and Thanksgiving are held at the beginning and end of each school year. Class Masses are held each term and the school attends Mass on special occasions such as Ash Wednesday and the Feast of the Sacred Heart and All Saints Day. Weekly assemblies regularly feature prayer and liturgy and are organised by various classes or the Director of Religious Studies. Sacramental Programmes are Parish based and are supported by the school. Yearly formation programmes are held within the school for the Sacraments of Reconciliation, Confirmation and First Holy Communion (Eucharist). The Parish and School recognise that parents are the first teachers of their children in faith development and seeks to provide support through Sacramental Programmes. The children enthusiastically organise this annual event which is usually held in November. The aim of Mission Day is to raise funds for selected overseas missions.